What is the fastest and easiest way to rent a car in Istanbul? If you are arriving in Istanbul, or if you are already there, you can rent a car fast and easy which will give you the opportunity to explore all the interesting landmarks in the region with rent a car services. If you are arriving with a flight, we strongly recommend you to rent a car with requested Airport delivery at İstanbul Atatürk Havalimanı. Rent a car in Istanbul directly from our website, or you can do it fast and easy over the phone. If you need more detailed information about our delivery and transfer services and their prices, you can visit our website. If you are planning to visit the city on 2 continents – Istanbul, or if you are already there, do not forget to rent a car for your stay on your business trip or vacation. Rent a car services in Istanbul will make your transport in the city a lot easier and faster. You can rent a car directly though our form for reservations on this page. You can visit Istanbul with car from one of our offices or to make a delivery request on our phone number: +359 700 89 050. We can deliver your desired automobile to every location in the city. We have more than 10 offices for rent a car services, which also make deliveries to Istanbul. You can see all Top Rent A Car offices here. If your trip starts from Istanbul, the process of renting a car will take you no more than 15 minutes, but in order to make sure you have a guaranteed automobile for the selected rental period, we strongly recommend you to make your booking in advance on our website or directly to our contact number for reservations: +359 890 170 170. 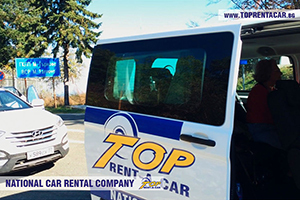 The smiley employees of Top Rent A Car will gladly help you with information or a rental offer in our offices or by the phone. 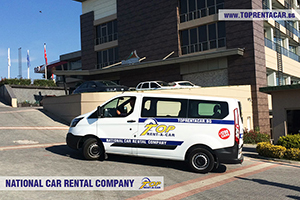 Top Rent A Car offers a big variety of automobile classes on special prices for rent a car services in Istanbul. Our current offers will bring you additional discounts from the rental price. Get updated about our current special offers by e-mail or you can check our Social Media pages. Alongside the rented automobile you can also take advantage of our special offers for extras – GPS, 3G Wi-Fi Internet and many more. Why should you choose rent a car services in Istanbul? Discounts for loyal clients, hot offers, promo games with prizes, etc.